Pruning – February and early March are the best time of year to prune fruit trees and grapes. Remove branches that cross over each other. They may tend to rub in time and create open wounds. There should be good space between branches to allow sunlight and air flow around each branch. Remove a branch when too close together. Remove any watersprouts. These are shoots that grow straight up, very quickly. Remove any suckers from around the base of the tree. These are also unproductive shoots that can interfere with the growth of the tree and compromise any grafts. Peach, Plum, Cherry, Nectarine, and Apricot (Stone Fruits) prefer an open center to their habit and don’t usually have a dominant leader. 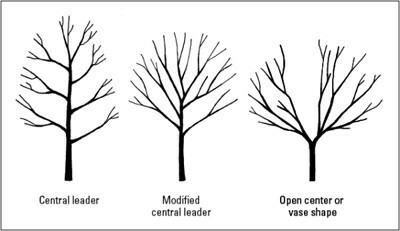 Generally, only 4-5 main branches make up these trees, leaving shorter branches to develop and produce fruit. 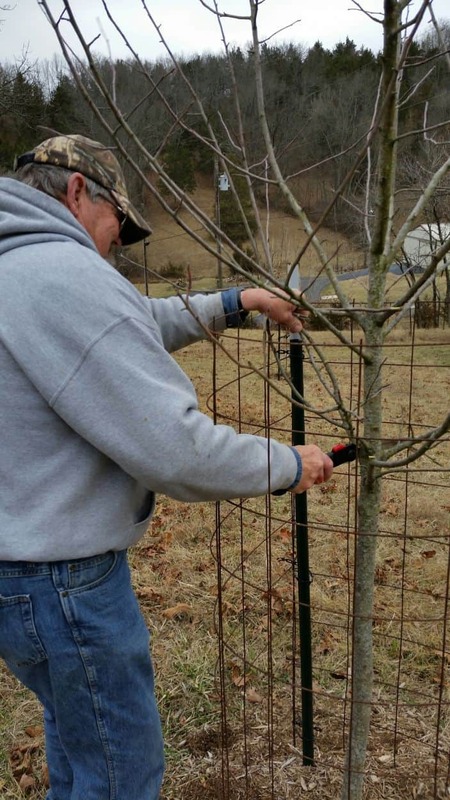 Follow the same 4 steps in pruning for Stone Fruits. Grapes are usually grown on a trellis or fence. Severe pruning each year produces the most yield per vine. Maintain 2-4 branches that will be secured to the trellis or fence and will grow horizontally. Any branches coming off these 2-4 branches should be cut to 2 buds. Other small fruits, such as Blueberry, Raspberry, Blackberry, Kiwi, Gooseberry, etc. are usually pruned right after they are done fruiting in the summer. This allows time for new growth to emerge in the late summer and fall. Flower buds will then be set in the fall for flowering and fruiting next spring and summer. One exception to this rule is any fall-bearing types, such as some Raspberries, and they would be pruned now.